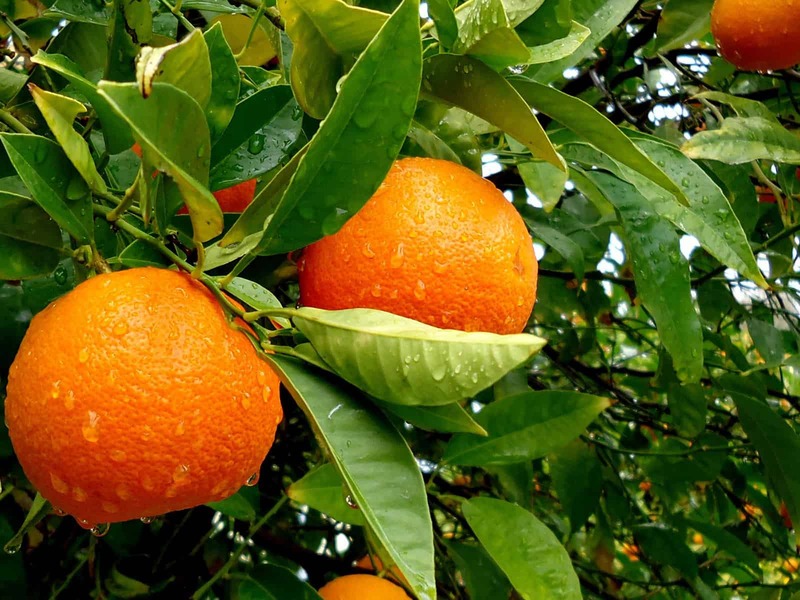 Growing your own citrus tree is as easy as ABC and nothing beats the pleasure of picking a fresh lemon from your very own tree to dress a salad, add to a refreshing ice tea or soothe a cold. They can be grown in gardens large and small or in pots on patios and balconies where the striking neon colours of their fruit will brighten up any winter’s day and their fragrant spring blossoms will please the senses. Citrus has wrongly gained a reputation of being difficult to grow. Ensure that you select varieties that are suitable to your region and climate. Visit Lifestyle Home Garden and select from a wide range of citrus trees suitable for this area. Citrus prefer a full sun position. If planted close to a north- or west-facing wall, they will also enjoy some protection from possible frost. Water your tree well and regularly. When it is in bloom or setting fruit, keep it moist, but never waterlogged. Plant your tree in well-drained, healthy soil. If planted directly into the soil, add plenty of compost to the planting hole. If planting in a pot or any container be sure to use a good quality potting soil and pots that drain well. Add a handful of bonemeal or earthworm castings when planting. If you have clay soil, add river sand and a lot of organic matter or rather opt for planting in a pot. Maintain healthy soil by fertilizing and mulching well, preferably with compost, to retain moisture. Keep the stem of the tree free of mulch, though, to avoid disease. Citrus do not like any interference with their roots. Weed by hand around the tree and keep an area of about a meter free of any other plants. If planted in a pot, do not underplant with other plants, but rather surround with beneficial plants in separate containers. Citrus trees do not need to be pruned generally, except for cutting out dead branches or when the tree becomes overgrown. It’s advisable to remove a few of the lower branches on the young tree to encourage growth into a standard tree and to promote good air circulation. Trees in pots and containers will need to be watered and fertilised more regularly. JANUARY: Thin out fruit if necessary. Water twice per week, but only if it does not rain. FEBRUARY: Apply mulch. Water twice a week if needed. Fertilise with organic 3:1:5 fertiliser along the drip line of the tree. MARCH: Keep moist while fruits are swelling. Thin fruit out if tree is overloaded. Spray with a kelp solution to provide trace elements. MAY: Water thoroughly during the dry season. JUNE: Pick and enjoy! 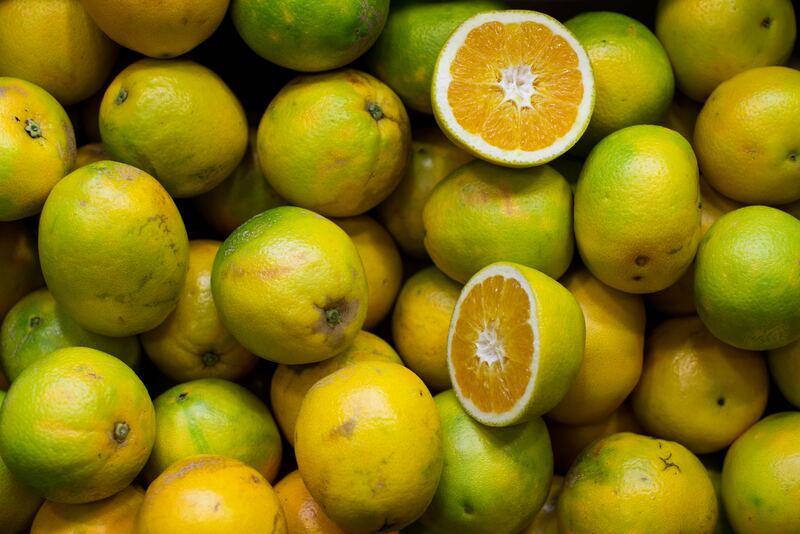 Limes should be picked as soon as they are ready, but other citrus fruits can be left on the tree until needed. Cover young citrus trees, other than lemon trees, with frost protection fleece that will still let water and light through. JULY: Replenish the mulch layer. Pick some more! After fruiting, prune out any dead branches and spindly growth. Cut off water shoots at the base of the tree. AUGUST: Fertilise with organic 3:1:5 and a cupful of Epsom salts (Magnesium Sulphate) along the drip line of tree. Water in well. Spray with a kelp solution to provide trace elements. If your tree showed signs of psylla (little bumps on the leaves) last season, start an organic preventative program now, especially on the underside of new leaf growth. SEPTEMBER: Water once a week when the trees start blossoming. OCTOBER: Water well if the rains are late. NOVEMBER: Citrus can be prone to aphids, especially on the new growth. Spray fortnightly with an organic insecticide or aphicide. Be sure to spray the underside of the leaves as this is where most of the aphids will be. The aphids will attract ants, so if you solve the aphid problem in time, ants should be sorted as well. DECEMBER: Fertilise with organic 8:1:5 along the dripline of the tree and water in well. Top up the mulch. Do not overwater in the rainy season. Nasturtiums (excellent decoy for aphids), Lavender, Santolina, Calendula, Marigolds , Californian poppies, Borage, Yarrow, Lemon Balm, Dill and Tansy will all aid your citrus tree either by repelling harmful insects or attracting beneficial insects which in turn will prey on possible pests on your tree. Just to the left of our outside information desk, you will find myriads of fruit trees including amazing citrus varieties in various sizes to suit your needs. Ask one of our friendly sales advisors for assistance in finding your favourite citrus tree to suit your garden!